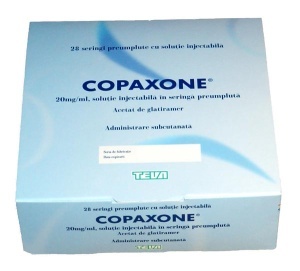 The list of Copaxone Side Effects is similar to that of most medicines. In Cir's case, they were the most tolerable when it came to treatments for MS. Here's a list as it was included in the shipping package. There are several injection site reactions you may also have when taking Copaxone. Again, if you experience any of these symptoms, seek medical help right away. Your doctor may be able to adjust the dosage until you get used to it. Or maybe you might need to take a break from it, depending on how the former strategy works for you. Generally, however, Copaxone is well tolerated by most people with MS. At the very least, it just might not work for you and you will need to move on to something else. To read more about Cir's experience with Copaxone, go here. For injection-site tips, click here. I know this list is pretty long, but one other thing that is mentioned to be aware of an allergic reaction. This is very rare, but just in case, here is a list of these types of reactions. And again, if you have any of these symptoms, get to a doctor or emergency room right away. If you have any questions about the side-effects or the medication, call the pharmacist, your doctor, or neurologist, for advice on what to do while taking Copaxone. There may be other side-effects you may experience that are not on any of these lists. Talk to your doctor about any side-effects that you feel may be associated with you taking Copaxone.